its a right time to invest in real estate. 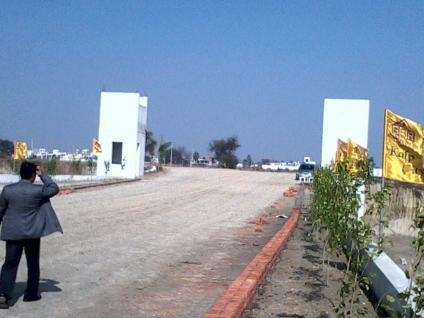 we having a good and cleaaar property in lucknow and we having a expert tean to manage the land on lowest cost. 1) New Jail 4 km . 2) Malhar Marco polo 1 km distance . 3) PAC comming soon 5 km distance. 4) swastik city lucknow 2 km distance. 5) azalea city 3 km distance. 6) shine city in front of distance . 7) gosainganj 1 km distance. 8) sultanpur road 1 km distance. 9) raebareli road 15 km distance. 10) mohan al ganj 15 km distance. 11)ansal api back 6 km distance. 12) mandi parishad 6 km distance. 13) civil court coming soon near new jail distance. 14) it city 6 km distance. 15)ambition project 6 km distance. 16)kisan path 4 km . I want to sell my 100 beegha agricultrial land on NH 56(b) and kisaan path before vihaan farm mohan lal ganj to gosaiganj on highway. New jail 500 mt distance..
mandi parishad 2 km . civil court proposed site on 800 mt. ansal api 5 km . in front of azalea city . only on 2500000 per bigha.